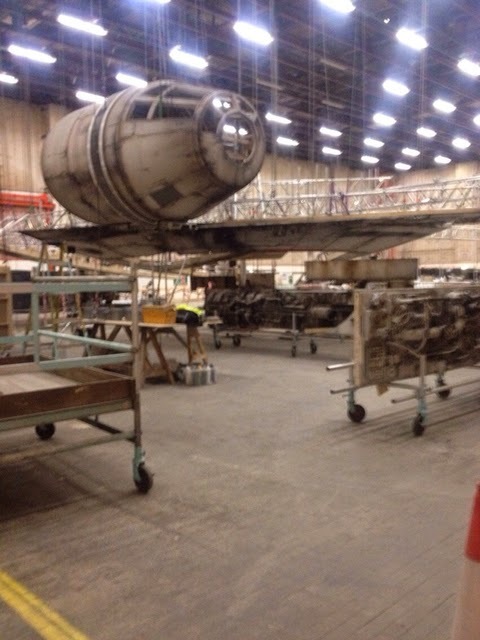 Unless you've been living under a rock for the past week, the chances of you running into the recent leaked TMZ pictures from the set of Star Wars Episode VII are pretty high. The pictures do not show much aside from some extras in costume, a large pig-like animal, and a few buildings set in the Abu Dhabi landscape, which will be the filming location of Tatooine rather than the usual Tunisia setting. 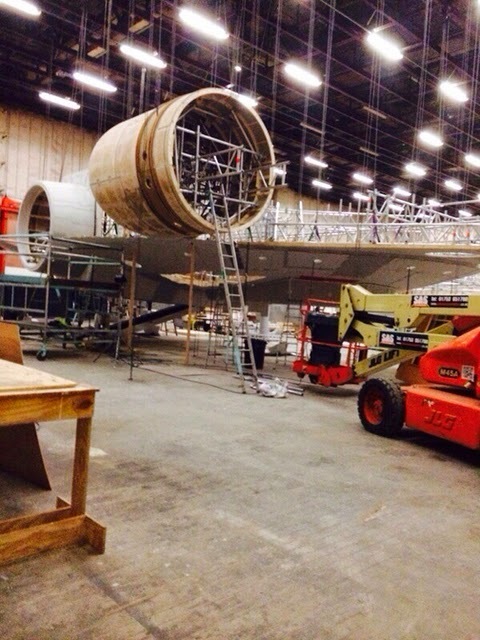 However, one picture has shown up that has had the internet going ablaze, and that picture appears to be the partly constructed frame of the Millennium Falcon. 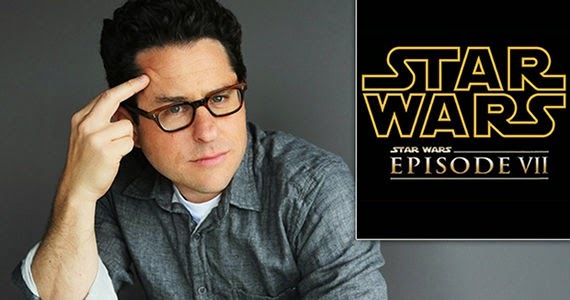 For obvious reasons, Lucasfilm, Bad Robot, and Abrams are not too pleased with the release of this information, and they are making it known. This picture was posted via the Bad Robot twitter page. "I wish people would stop leaking photos from Episode VII, and making ridiculous claims that the Millennium Falcon is in the movie. 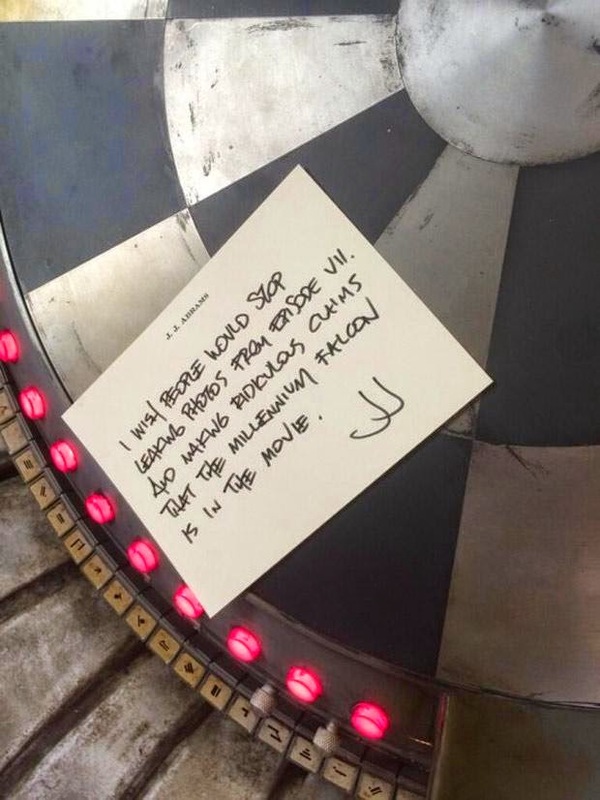 JJ"
Notice that the note stating the Falcon is not in the film is placed on the famous dejarik holo-board that is onboard the Falcon. It is nice to know that Abrams has a sense of humor about it, but the message has still gotten through that he is not happy. As someone who has been skeptical/worried/insanely excited for this film, I personally do not want to see any "leaked pictures" until after the first trailer has come out and we can make speculations. I'm enjoying the leaks. It's reminding me that this will be a movie made with practical effects and modelwork as opposed to all green screens and cgi. It's making me more excited to see it.